Multiple viewing angles, rotatable shell and integrated Bluetooth keyboard, if these features can catch your eyes, let’s go on checking the Flip Turn G2 iPad mini keyboard case. 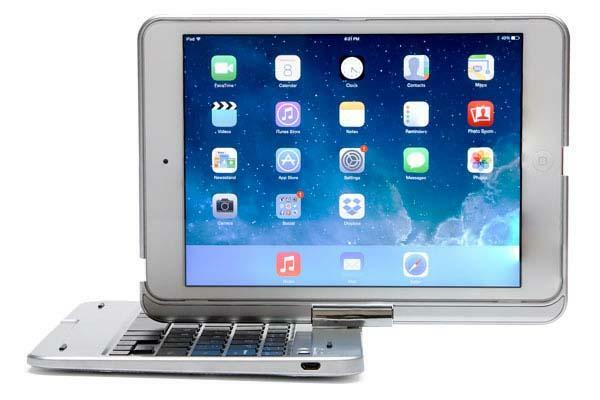 The Flip Turn G2 iPad is a versatile keyboard case that works with iPad mini, iPad mini 2 and iPad mini 3. 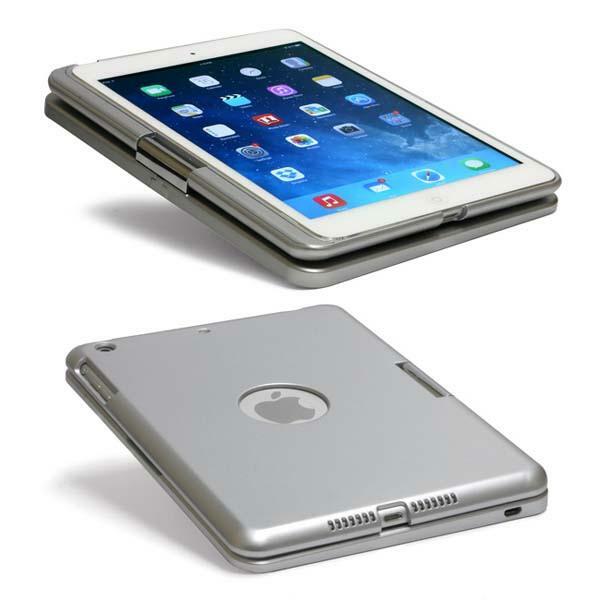 The iPad mini case measures 6 x 8 x 0.7 inches, weights 15.9 oz, and as we can see from the images, the Flip Turn G2 sports a sleek and flexible design with a gorgeous silver coating and it comes with an integrated Bluetooth keyboard with backlit keys in 7 optional colors in order to provide you an accurate and comfortable typing experience, while its unique flip turn mechanism sets up your iPad mini in multiple modes for comfortable viewing and typing, moreover, built-in rechargeable battery offers up to 4 hours of typing with backlighting, and the reinforced polycarbonate hardshell case guards your iPad mini from bumps and scratches, apart from that, the iPad mini case is customizable via uploading your image. 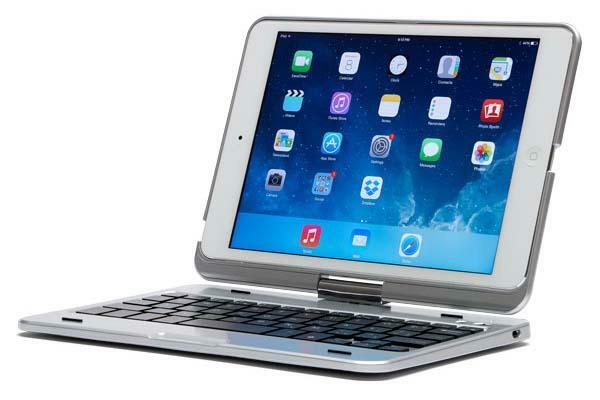 The Flip Turn G2 iPad mini keyboard case is priced at $99 USD. If you’re interested, jump to Sunrise Hitek official site for more details or check out the following demo video first.